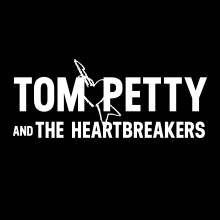 New Tom Petty Gainesville T-Shirt Now Available! The new Gainesville T-Shirt pays tribute to the city that Tom and the Heartbreakers came from. Gainesville is also the title of a newly released song on the box set An American Treasure. The front features an alligator and Flying V guitar motif while the back proudly proclaims “I Won’t Back Down,” just like thousands of University of Florida (Gainesville) fans sing after the third quarter of every home football game. Tom even once worked as a groundskeeper for UF!